Certified translation or notarized translation? Where to begin? In the world of translation, you may hear many terms such as “certified”, “official” or even “notarized”, but when it comes down to differentiating between them, many clients are find themselves caught up in this linguistic jargon. It is very important that not only clients, but translators too, can recognise and understand the difference between a certified or official translation and a notarized translation. First but foremost, starting with certified or official translations, these types of translations must be carried out by a translator that has been certified by the Ministry of External Affairs. 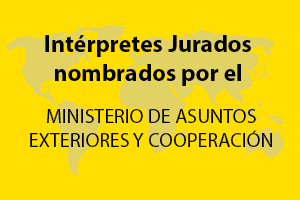 These translators have specific training in both translation and law and have either studied a degree in Translation and Interpreting, specialising in Legal translations or have knowledge in the field of law and of two languages and have taken the official Ministry examinations to be appointed as a certified translator. The translations that certified translators undertake are therefore referred to as certified translations, and carry a guarantee of quality as the translator´s competence has been accredited before an official government body. Most importantly, the certified translation will be attested by the certified translator. The translation shall include a statement attesting that the translation therein depicts a faithful copy of the original document written in another language, which the translator fully understands. Overall, they are attesting the quality of their translations. Due to this guarantee of quality, certified translations are often required for legal, contractual or immigration functions, such as contracts, court documents, civil registry certificates etc. Moving on to a notarized translation¸ it must be first highlighted that a notarized translation is a translation that includes a notarization of a Lawyer or a Notary Public. In order to notarize a translation, the translation which has not necessarily been carried out by a certified translator, must be presented along with the original document in the Notary´s Office. The translator shall than swear an oath and sign a sworn statement before the Lawyer or a Notary Public, who shall attest that the translator has declared that the translation is a true and accurate depiction of the original document. However, taking into account that ANY translator can present their translation before a Notary for its notarization and the fact that the Notary only affirms the translator’s word and does not assess the translation, notarized translations do not come with the same guarantee of quality that certified translations do.